There is always that one or two uncles that leave a lasting impression on you from your very early childhood days. For me one such uncle was “Bhattacharya-kaku” (Kaku in my language means uncle). He took great interest in the well being of all the kids in the neighborhood. He would drag all of us out from our houses in the late afternoon and organize cricket or soccer games for all of us to play. He was our coach, manager, referee – all wrapped in one. Anytime we had tiffs within us friends, we invariably would go to Bhattacharya-kaku instead of our parents for a resolution. He also used to organize local functions for the neighborhood where we would put up skits, drama, songs, dance etc. (BTW, every such function would somehow have at least one girl dancing to “Kothao amar haariye jabaar nei manaa, monay, monay” 🙂 ). He used to even write skits himself for us to act in. I had no idea what happened to him after 1976 – when we moved from that neighborhood. 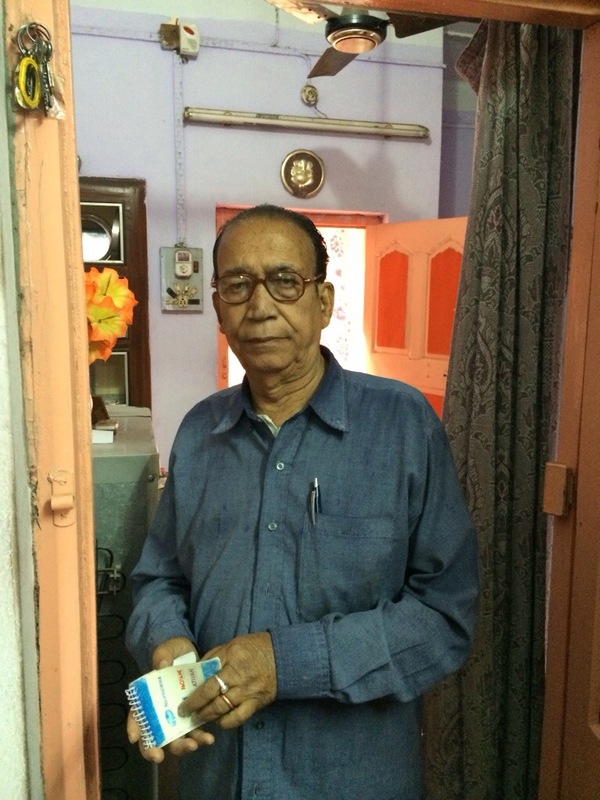 Last week, when I met Anindya Sarkar (remember the guy I was looking for all over social media and turned out he has lived in the same house now for fifty years? 🙂 ), I asked him if he had any idea of Bhattacharya-kaku. We got a faint glimmer of hope since he mentioned that he had heard that Bhattacharya-kaku’s younger daughter got married and lived on 4th street on Ranapratap road. 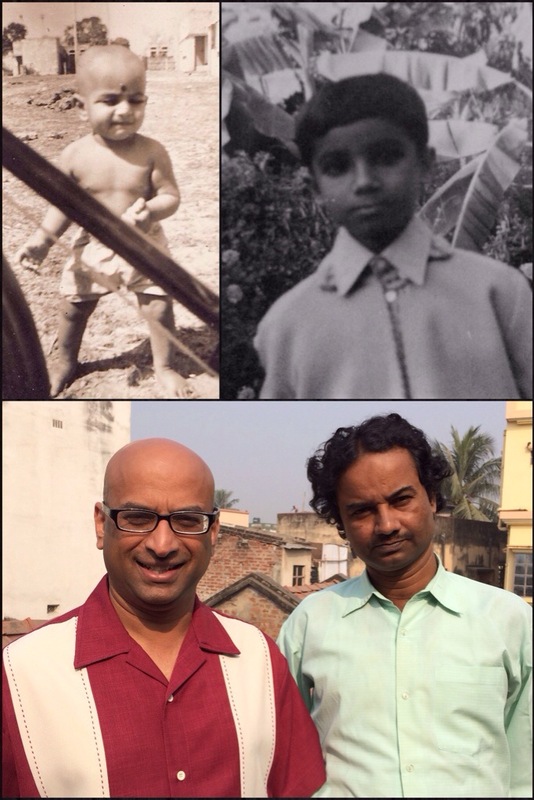 My brother and I were running short of time – we had to drive back to Kalyani that day – but decided to give it a shot. Turns out nobody on 4th street knew of Bhattacharya-kaku’s daughter. Out of desperation, we tried the next street too. After getting two “Sorry, don’t know”, one gentleman seemed to think he knew who were talking about and asked us to try two streets later. He, in fact, gave us the house number too. Turns out, we did hit the jackpot. The gentleman was Bhattacharya-kaku’s son-in-law. We explained our situation and he proved to be very helpful. He gave us Kaku’s mobile number. By this time, we were terribly out of time. 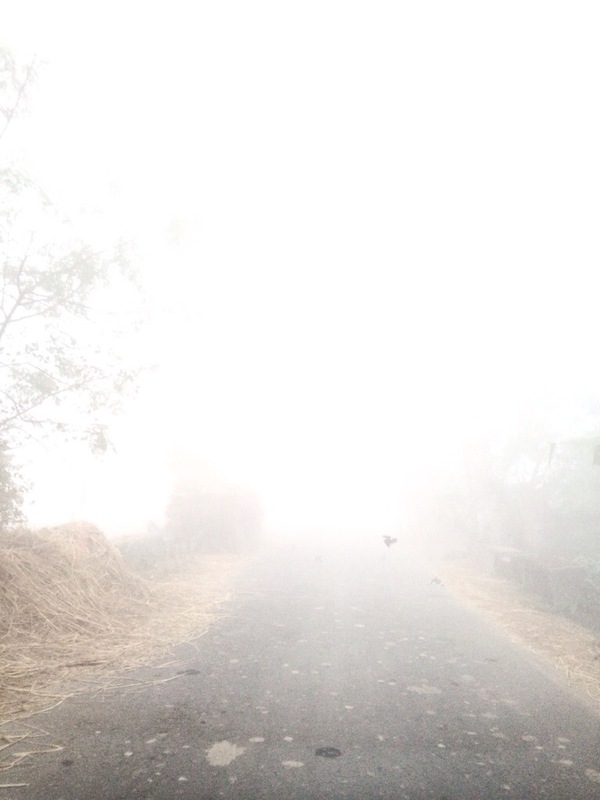 But I had what I needed – a sure way of contacting Bhattacharya kaku. We headed back to Kalyani. That evening, after reaching Kalyani, I called up that number. Unsurprisingly, he recognized me immediately (the son-in-law must have tipped him off!!). He made me promise him that I will see him next time I came to India. I wrote it down in my small diary of “People I need to visit” his name and address and closed the chapter there. April is what I was targeting. Couple of days later, I had to make some changes in my plans. After visiting Khokon, I decided to go all the way to Durgapur and get my family back myself since Sharmila had become sick the previous night. It was an arduous three and a half hours of drive on Indian roads, pick them up, and come back again. On a whim, my brother and I decided, at the risk of getting terribly delayed in picking up my family, we would give it a shot to see Bhattacharya Kaku. And we did. And we got horribly delayed. It was a very emotional get together. You could see that he really cared for us even now and was absolutely trying to reassure himself that we have become what he always wanted all of us to become. He was most proud of me since I am the only one in America from that neighborhood. And to him that is the ultimate achievement. He had so many questions about America – “What do they eat?”, “Are they very kind people?”, “Are they all very fair?”, “Are they smarter than us?”, “Do you get fish to eat there?”, “Is it true that there even maids come in cars?”, “Do you eat beef?” and so on and so forth. I was determined to answer each and every question he had patiently. After an hour or so, he said “Okay. I will not hold you back today anymore. But come back and visit me. I want to learn more about America”. As I said, I was terribly delayed. Sharmila was none too happy about it either. I am usually a stickler about time. It was too difficult for me to brush off Kaku’s childlike curiosity and deprive myself of a chance to give him back what he had given me a long time back – some quality time and attention. 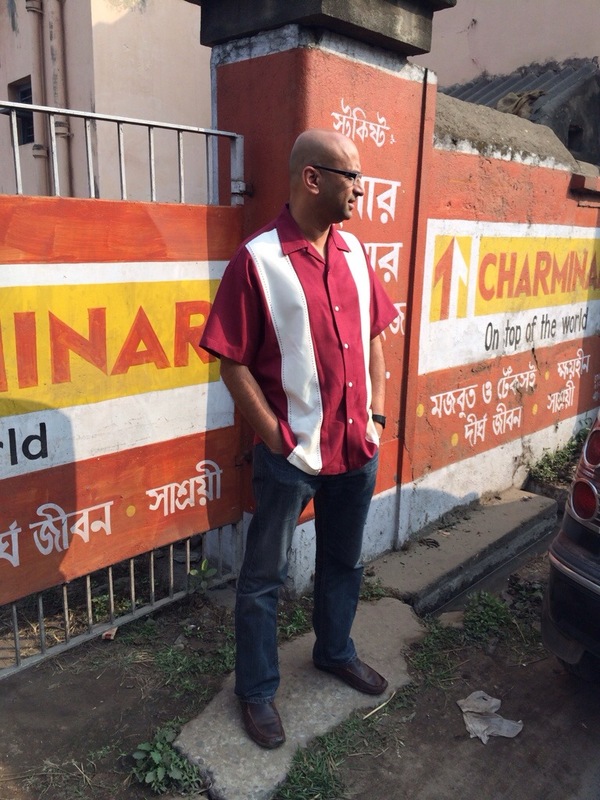 This is a picture of my Bhattacharya-kaku. Btw, dad had again come down and stationed himself on a chair outside the building gate so that he could say Goodbye. However, her dad – my father in law – was very impressed how I tracked down Khokon after 37 years. He was also impressed by how Facebook, GPS etc has helped me. Sensing his excitement, I suggested that he should try the same thing. 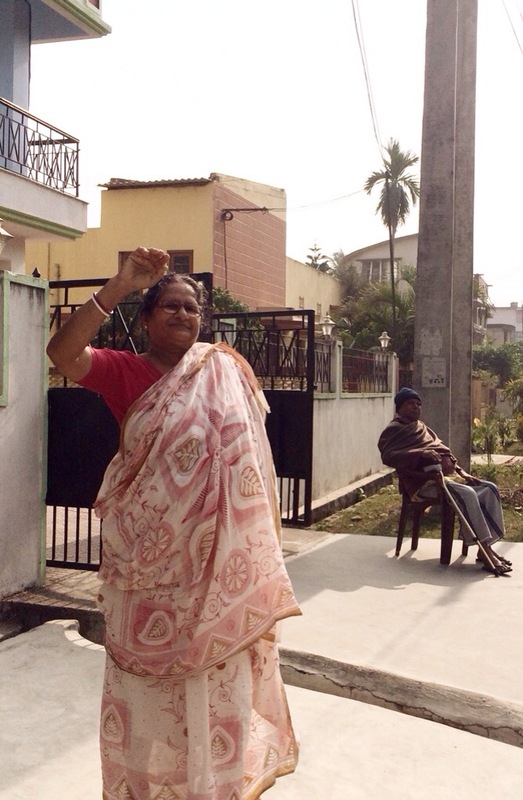 Yesterday, when I was bringing my family back to Kalyani to my parents’ place, the in-laws (dad and mom) also joined us. 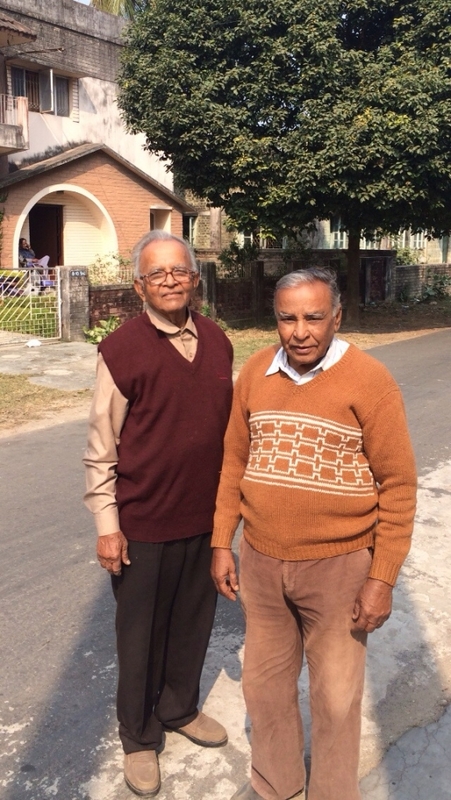 My father-in-law mentioned that he has heard that one of his college friends (he passed in 1957) lives in Kalyani. This was a reasonably easy search – his friend’s son went to college with my brother in law. A couple of phone calls later, we had my father-in-law’s friend’s address. This morning I walked him to that address and asked him to have a good time and call me if he needed to be picked back. He came back with his friend three hours later – evidently after having a whale of a time. They met after 56 years!!! That beats my 37 year record with Khokon hands down!! I requested a picture of them that I could put on Facebook. They gladly obliged. Whatever, dudette, your dad thinks I am cool!!! The Sunday morning Bengali running group was on vacation. However, everybody ran at 8 am on Sunday in a virtual Chalupa run. 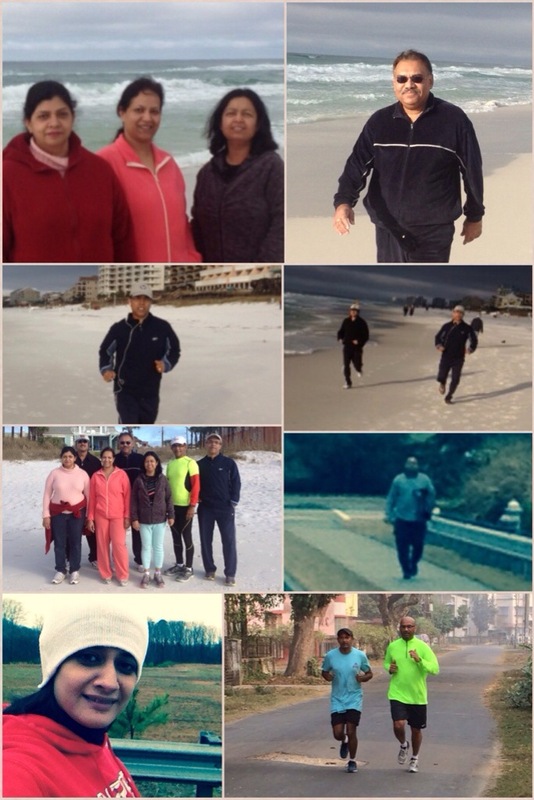 The first five pictures are from a few members running on the beaches of Florida, the next two are Sudakshina and Manas doing the authentic run in Atlanta and the last one is myself and my brother running in India. Apparently distance cannot separate our running together spirit…. 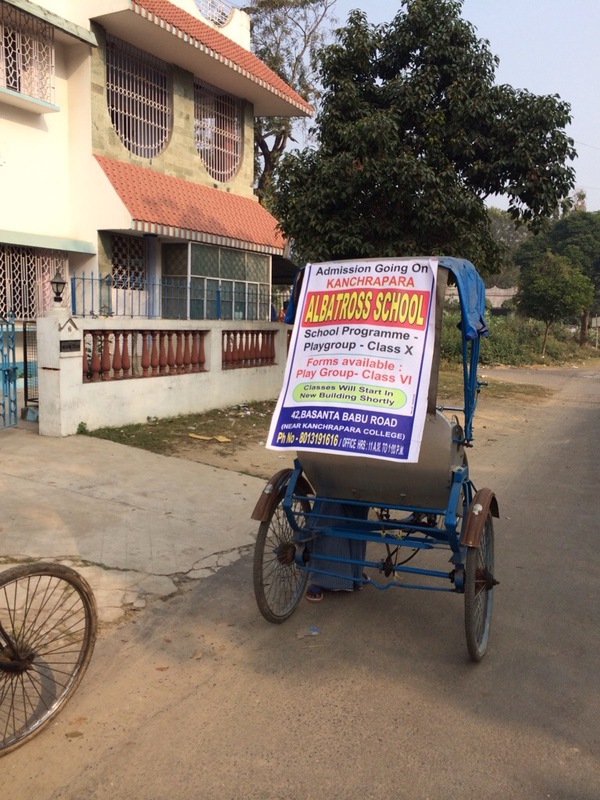 During our return trip from Durgapur to Kalyani, we took a tea stop off the Durgapur Expressway. 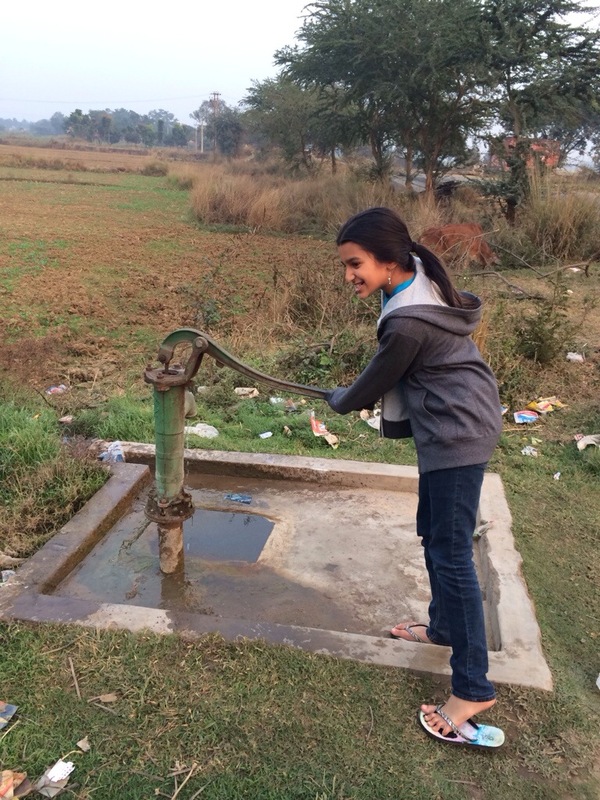 Nikita found this curious little thing (a hand water pump) and eventually figured out how to work it. Category: Vacations | 1 Comment on How does this thing work? Waiting at the agreed upon spot. Khokon will be here any moment now….